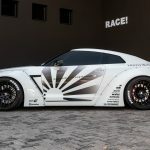 From Japan comes the well-know tuning firm Liberty Walk, with its mind-blowing and crazy wide body kits applied on the most exotic sports cars in the world. 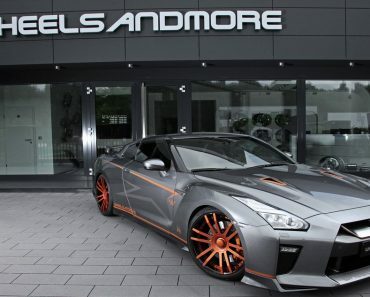 The shop`s latest daring take is from its own yard, and refers to the astonishing Nissan GT-R. 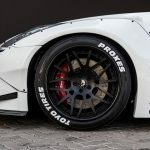 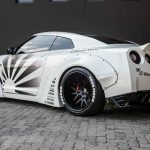 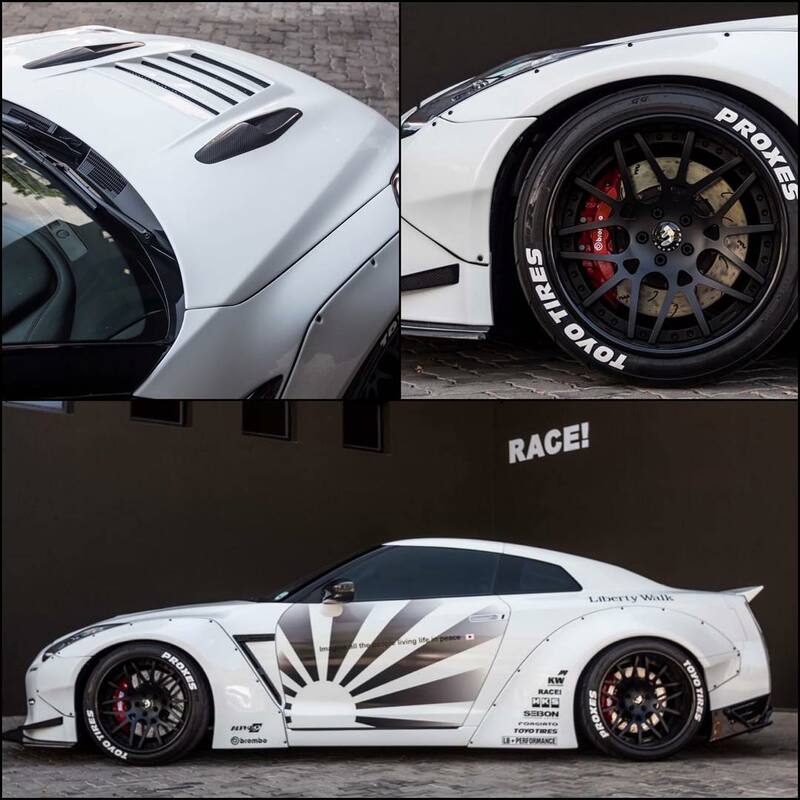 The Nissan GT-R is perfectly build to accommodate such impressive body kits, and this is one of the main reasons that the technicians from Liberty Walk tuning firm always prefer it for special projects. 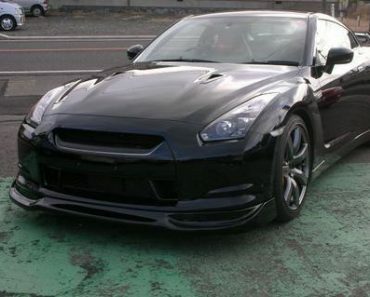 However, in this case, the tuner only provided the parts for the below Nissan GT-R, as it knows the car in and out. 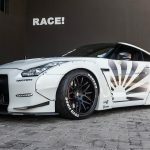 And all the credits for this project go to RACE! 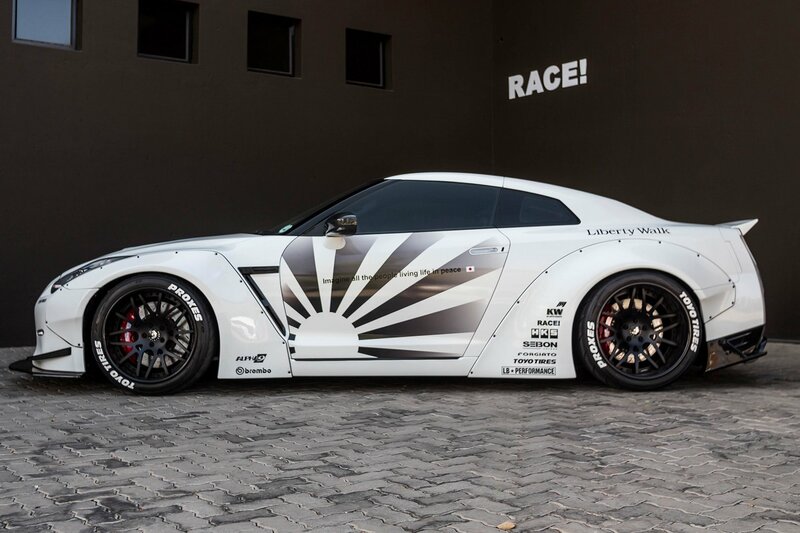 tuner from South Africa. 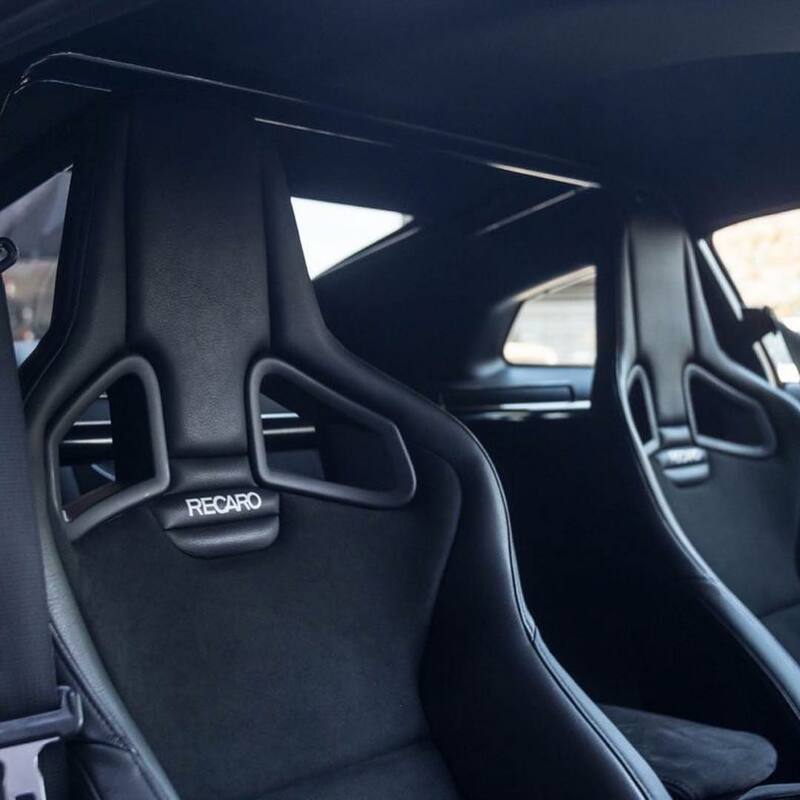 It might sounds as a cliché, but I find this particular project one of the most impressive. 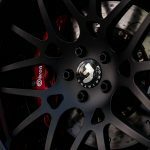 The reason is pretty simple and the program is thoroughly described in the media gallery below. 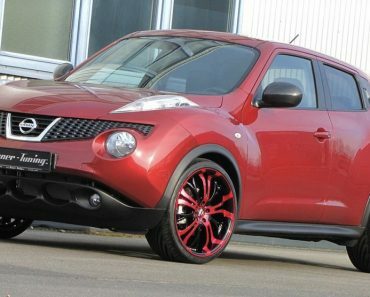 However, I feel obliged to add a few words about this car. 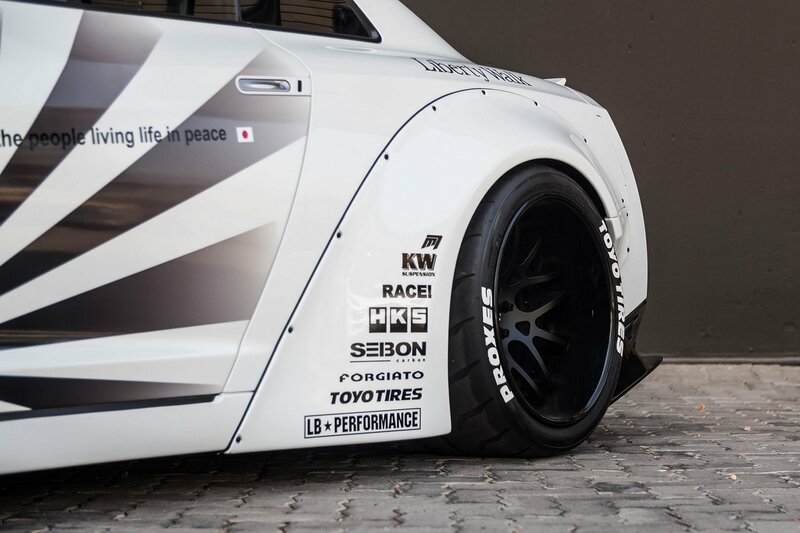 It comes with an aggressive and extremely wide aero kit, thanks to the new add-ons from Liberty Walk. 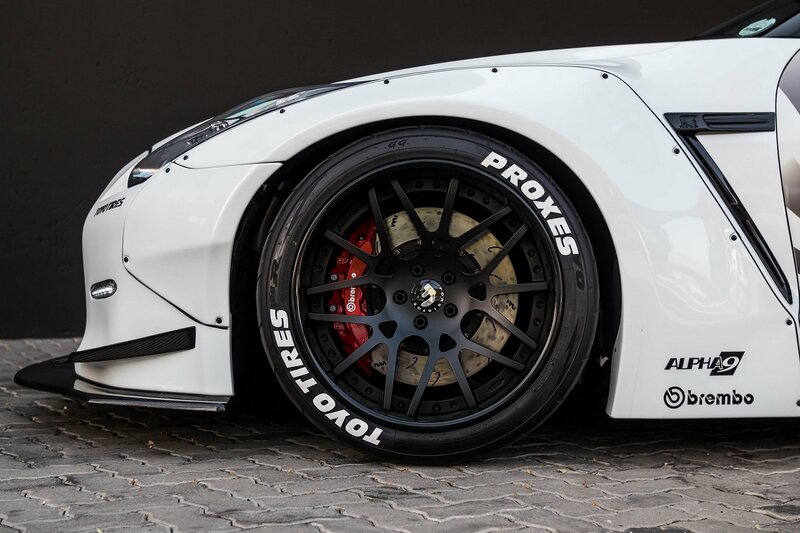 We are dealing here with bolt-on fender flares both at the front as well as at the rear, adding an adjustable splitter, boot lid with new ducktail and wide rear diffuser. 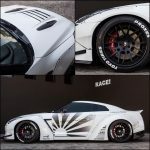 As we can depict from the photos, the Nissan GT-R by RACE! 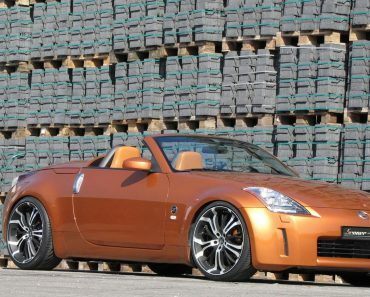 has a lowered ride height, thanks to the new suspension system with KW coil-overs and four-axle hydraulic. 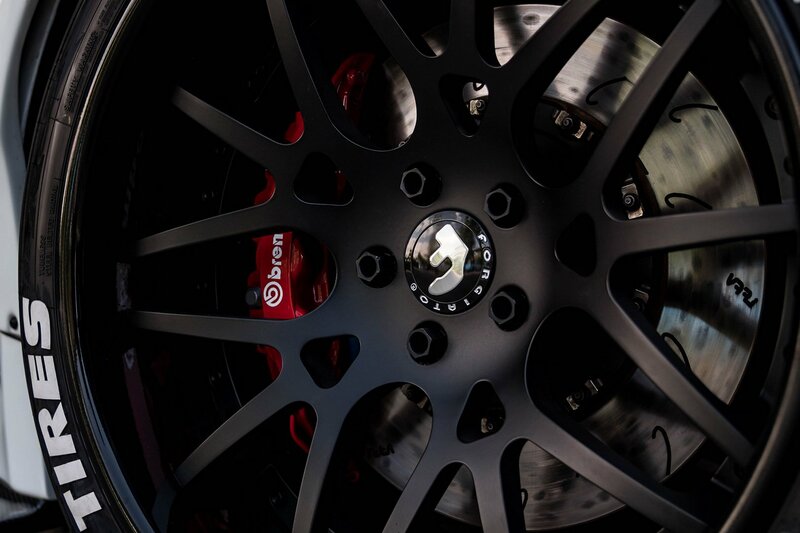 On top of that, the technicians have also installed a set of new Maglia-ECL Forgiato alloy wheels, finished in black. 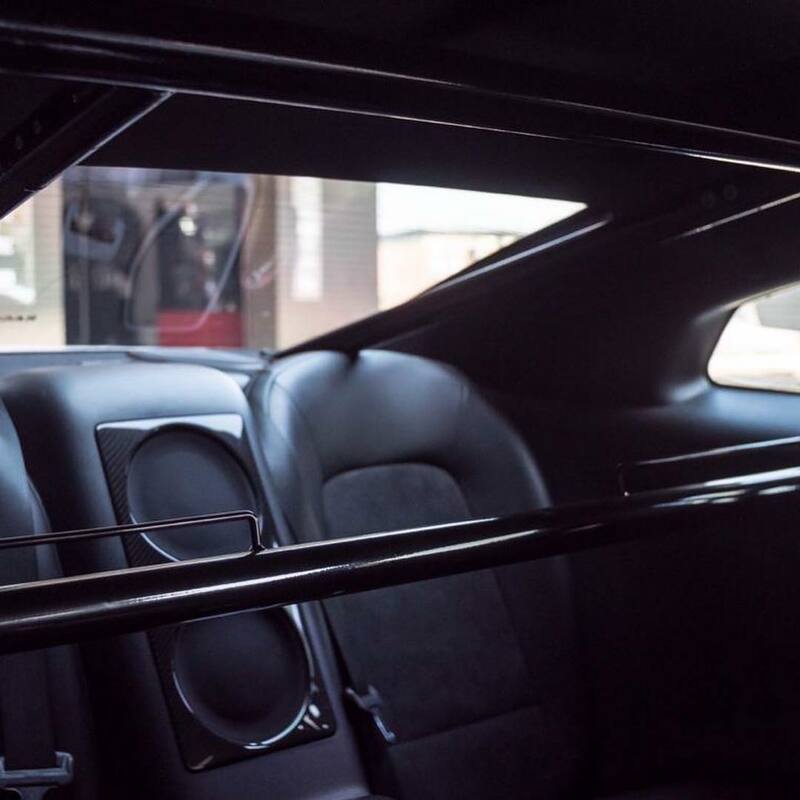 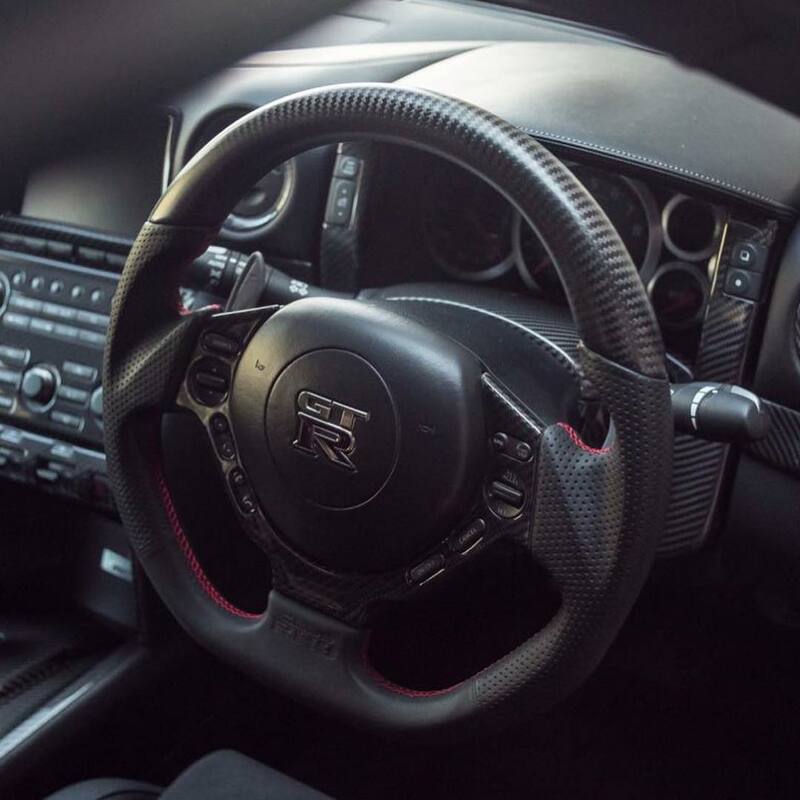 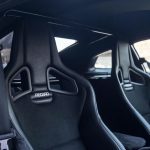 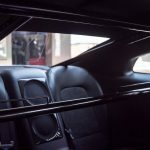 The cabin hasn’t been left out and complements the exterior with bespoke carbon fiber trim all around, along with Recaro bucket seats and roll cage. 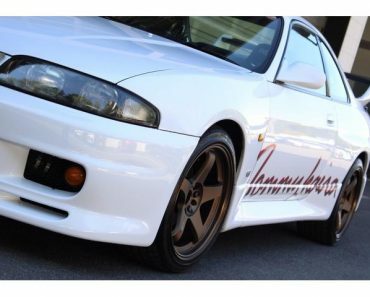 From what we know so far, the tuner has not messed around with the car`s stock power. 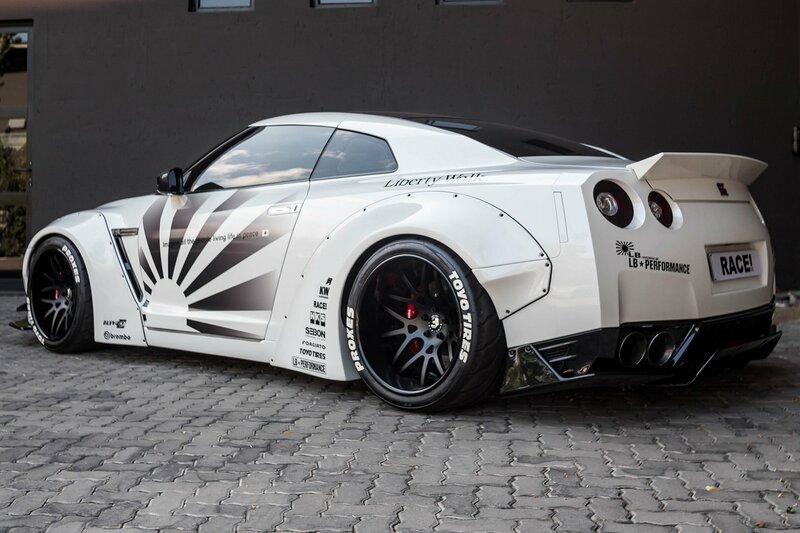 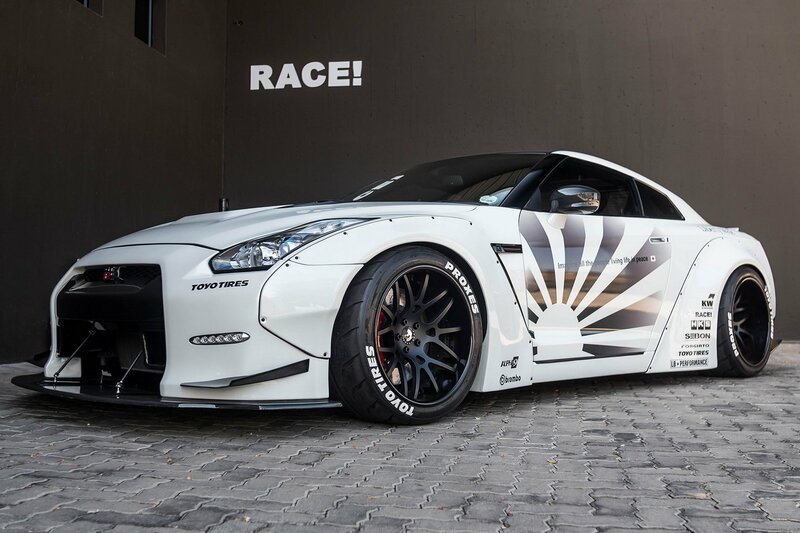 That means that the Liberty Walk Nissan GT-R by RACE! 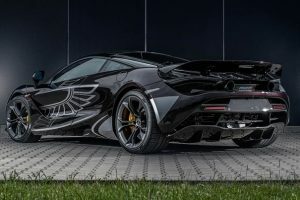 still packs the standard yet massive and extremely-powerful 3.8-liter twin-turbo V6 engine which enables 550 PS and 632 Nm of torque, allowing a sprint from 0 to 100 km/h in a staggering 2.7 seconds. 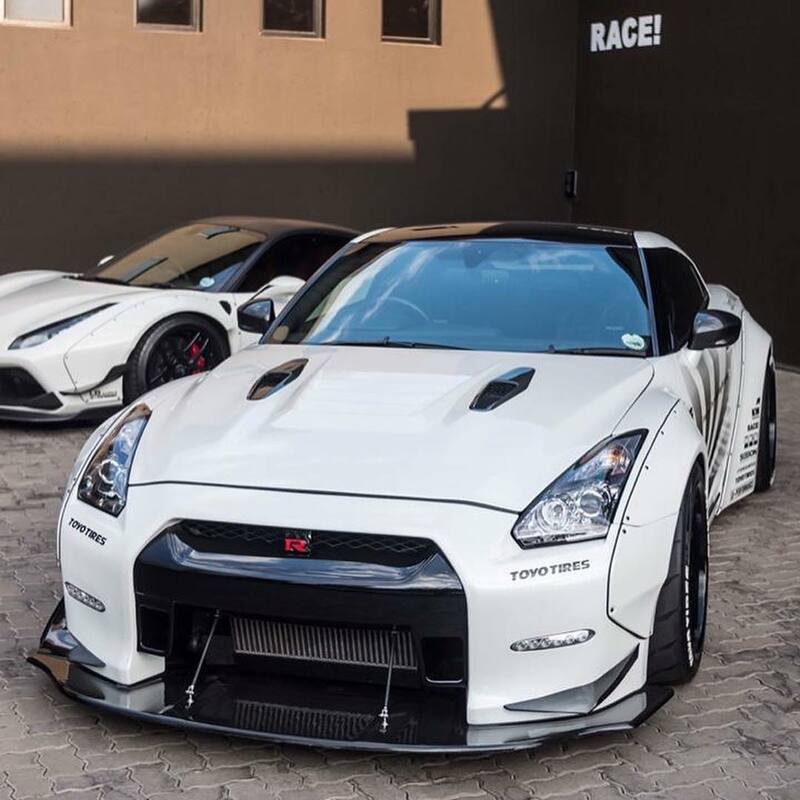 And that still makes the fastest sports cars around the famous Ring.